Indian Institute of Technology (IIT), Delhi conducts the Joint Admission Test (JAM 2013) on Sunday, 10 February 2013 for admission to Integrated Ph.D programmes at Indian Institute of Science, Bangalore and 2 year M.Sc, Joint M.Sc.-Ph.D., M.Sc.-Ph.D Dual degree and other Post-Bachelor's degree programmes at Indian Institutes of Technology (IITs) commencing in the session 2013. An Admit Card, bearing the candidate's name, registration number, photograph, signature, category as declared by the candidate, disability status and name(s) and code(s) of the test paper(s) applied along with the name and address of the test centre allotted, will be sent by speed/registered post ONLY to the mailing address given by the candidate in his/her OMR Application Form/Online Registration Form. The candidate should carefully examine the Admit Card received by him/her for all the entries made therein. In case of any discrepancy, the candidate should inform the Organizing Chairman,JAM 2013, IIT Delhi immediately. Admit cards will also be available online through the website. 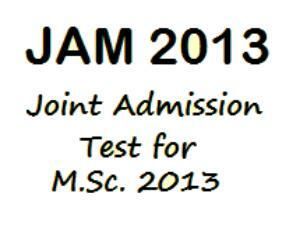 Click here to download the JAM 2013 admit card. If the Admit Card is not received by 21 January, 2013, and if the candidate is not able to download the online admit card, then the Chairman JAM of the respective IISc/IITs. Those candidates who have not received their Admit Card, due to postal delay or any other reason, will be issued a Duplicate Admit Card by the Presiding Officer of their respective Test centres, on the morning of the date of examination, 10 February, 2013 (before 8.00 a.m.), on production of a photograph identical to that pasted on the Application/ Online Registration Form and the Identity Card from the institution last attended (bring original Identity Card and its photocopy). The concerned candidate should contact GATE/JAM Office at IIT Delhi immediately by phone/ email/ in person. Inform your Application Number and correct mobile number to GATE/JAM Office of IIT Delhi. 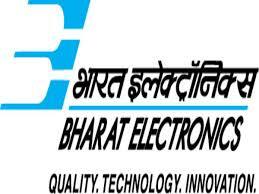 Click here to know the examination centre. No candidate will be permitted to appear in JAM 2013 test without a valid Admit Card. The Admit Card should be presented to the invigilators/JAM officials for verification. The Organizing Institute will not be responsible for any postal delay or irregularity resulting in non/late delivery of the Admit Card. A plea that the candidate failed to appear in JAM 2013 due to non-receipt of the Admit Card will not be accepted as a reason for the refund of application fee or any other redressal. Haiz Khas, New Delhi - 110016.